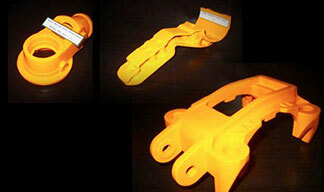 Manufacturing cast steel and cast iron parts for major industries. 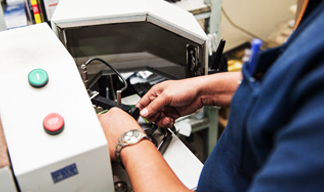 From pattern to finish machine shop, We understand the importance our quality focus to our customers. Welcome to Burapa Steel & International Iron Works. 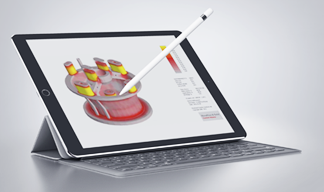 Rapid prototyping is a new and powerful technology for rapid product development. With the rapid prototyping machine we have, a CAD file of your part . . . In order to improve product quality, reduce lead times, and reduce costs, we employ computerized casting simulation technology, . 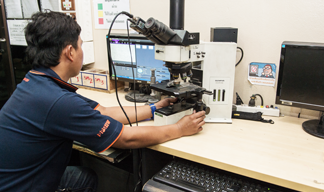 . .
At BPS & IIW, we use a spectrometer to verify the chemical constituents of every metal melt before it is poured to ensure precise alloy composition . . .
At BPS & IIW, we employ an image analysis software for Metallurgical use. Digital images taken from a microscope can be completely analyzed . 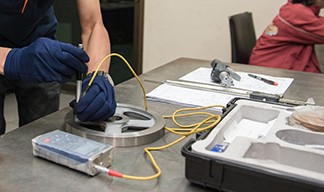 . .
To make sure that our casting meets the requirements specified by the customer, we employ different methods of inspection consisting of . . .
We are committed to the continuous learning and development of all staff to enable them to develop individual skills . . .
Burapa Steel Company Limited (BPS) was first established in Bangkok, Thailand in 1974 to manufacture cast steel and ductile iron parts for automotive, agricultural, earth moving, electrical, and machinery parts. 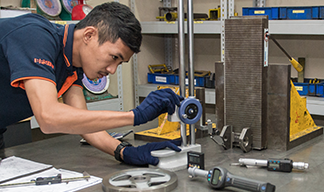 International Iron Works Company Limited (IIW) was established in Samutsakorn, Thailand in 1990 to mainly focus on grey and ductile iron parts. Intentionally branded separately to better serve the respective markets for steel and iron.